delicious English gin made with poppy, dragon eye, lotus leaves, citrus, almond, lavender and various other botanicals (12 in total). 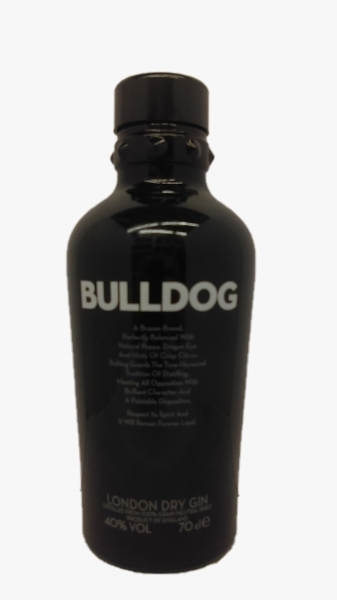 This is four times distilled in copper pot stills, and Bulldog had the highest rating ever received by a gin from Wine Enthusiast Magazine. It was also voted a Top 50 spirit!